Spain's King Felipe accuses catalan separatists of ''unacceptable disloyalty"
Spain’s King Felipe has condemned the organisers of Catalonia’s disputed independence referendum, calling for unity. 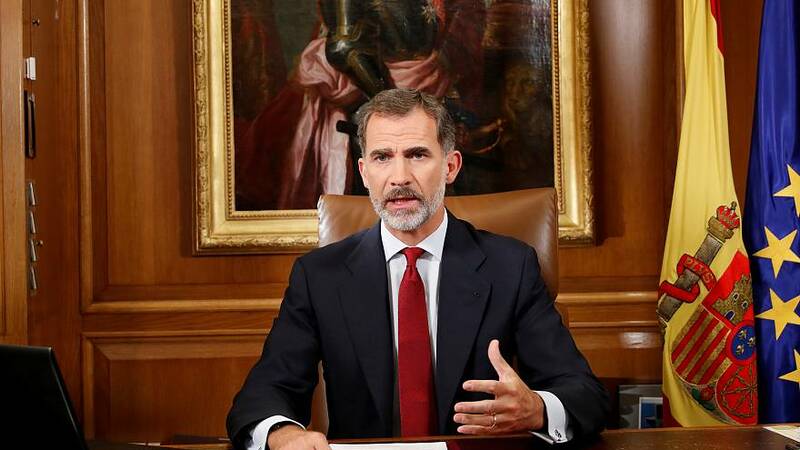 In a rare national address, the Spanish monarch accused authorities in the region of “irresponsible conduct” and operating “outside the law”. The address followed more protests and strike action across Catalonia. police brutality during Sunday’s independence vote. Nearly 900 people were hurt after security forces tried to prevent the ballot by storming polling stations. Madrid had branded the referendum illegal.